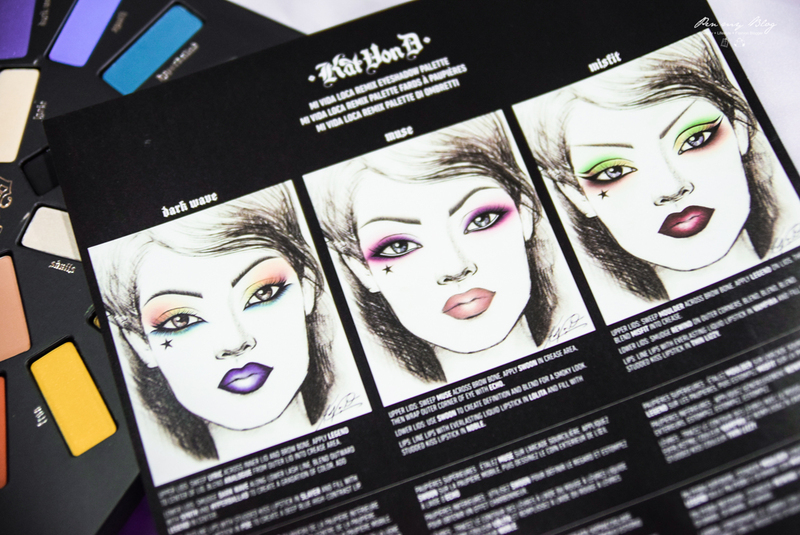 For all of you who are big fans of Kat Von D, you would probably know that she came up with a very unique palette for us this holiday season of 2015. 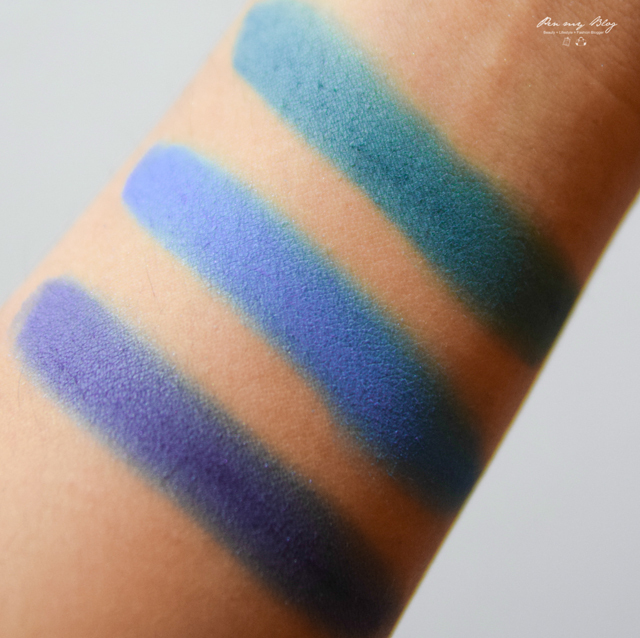 Her stunning shades never disappoint and although her bright variants might take some getting used to, there is no doubt that her pigments and formulation are still pretty spot on. Now even though this palette is a Sephora US holiday exclusive, it would still be nice to get an overall view on how the palette fared. However for a more hands on overview, you can also scroll below to find our video but for now, let's get into the swatches, packaging and all that good stuff. 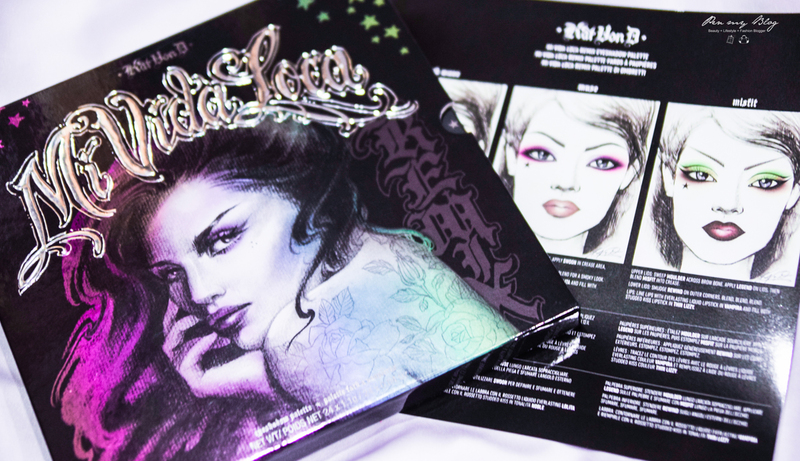 So the first thing that you see from the packaging is an embossed Mi Vida Loca font with an artistic drawing of Kat Von D herself in metallic glow. This is definitely very eye-catching and though the one thing to note about the palette is that it is not your typical snap up casing but rather a push out record type that unveils the colors the moment you slide it out. 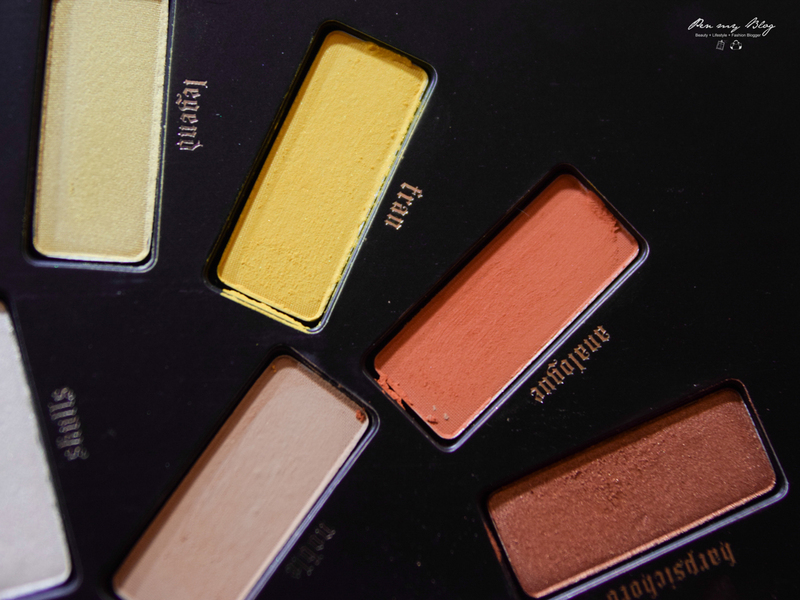 Typically though, is that whilst looking at the frame, some might find it rather big in form and while it does case 24 brand new high quality shadows, the shades have been distributed rather generously offering full sized pans to go all around the palette. Nonetheless with its assortments of rainbow hues, Kat Von D also included an insert with three makeup styles that would go well with this palette. This on her end was tremendously thoughtful and considerate, plus seeing as this could be a guideline to inspire upcoming looks, it was indeed very helpful as well. However due to Mi Vida Loca's strong pigmentation of colors, each texture is built very differently but seeing as this one is Kat Von D, she has included a fair amount of mattes, shimmers and satin finishes for our liking. 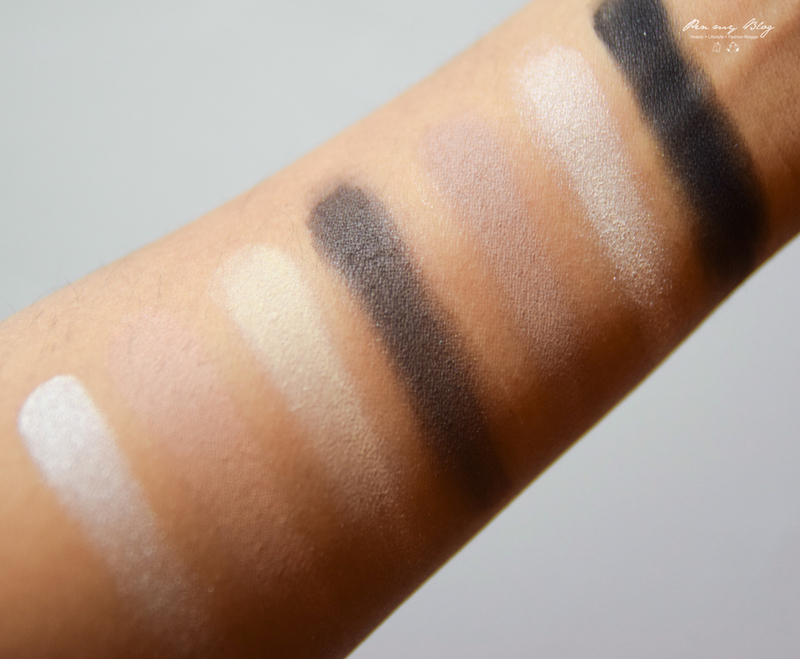 So as far as we can see, it is pretty much a well rounded palette which we do appreciate, however let's break down the swatches first. Starting off with the inner wheel, we begin with something natural. There are mixtures of neutral, mattes and shimmer built into these seven shades and although it might start off looking a bit like eyeshadow bases at the moment, rest assured that these colors are superbly pigmented to stand on its own. Blending them out is like a dream and these are perfect to use as transitional colors as well. Ah the brighter shades of the bunch. Being pleasantly surprised to find these shades very creamy, it was even more delightful to see that the yellow hues did not disappoint. 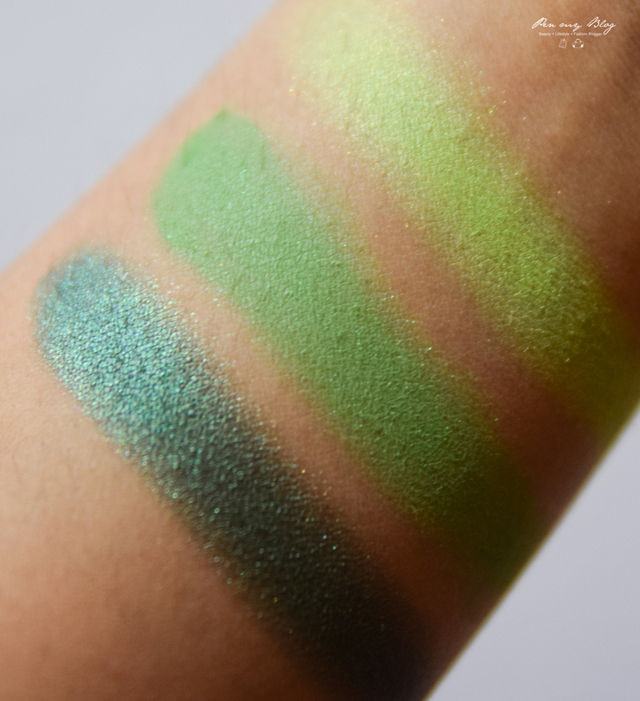 This is due that for brighter pigments, it is very hard to get the right consistency but with these shades, the colors were neither patchy or had fall out which was amazing. This is definitely made to impressed. As for the pinks and the reds, we have two mattes and one shimmer. 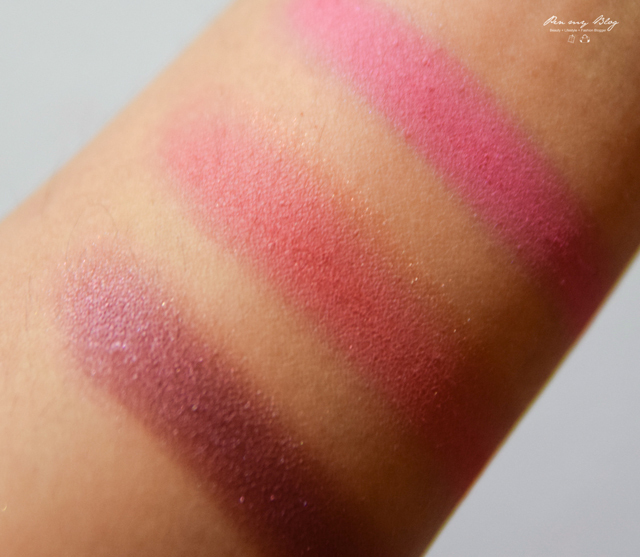 These colors are quite wearable and in terms of the swatch, the mahogany (shimmer) certainly came out the most. 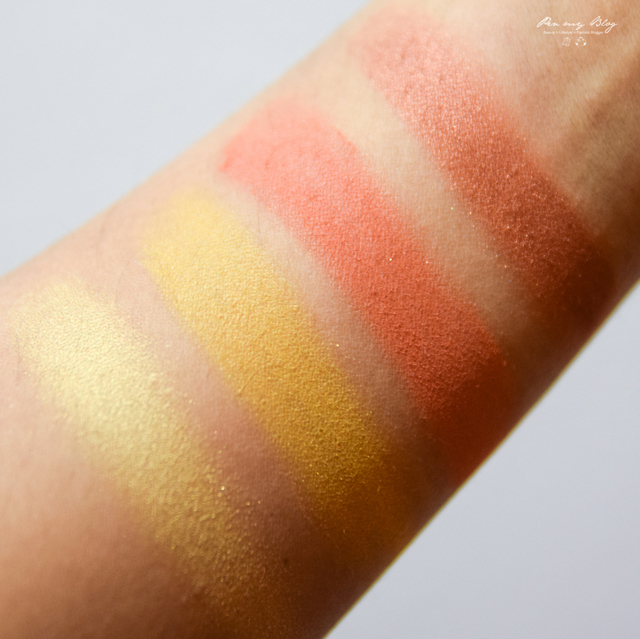 Pigmentation was strong but for the middle one (destroyer), we had to swatch it a couple of times to get the desired color payoff. 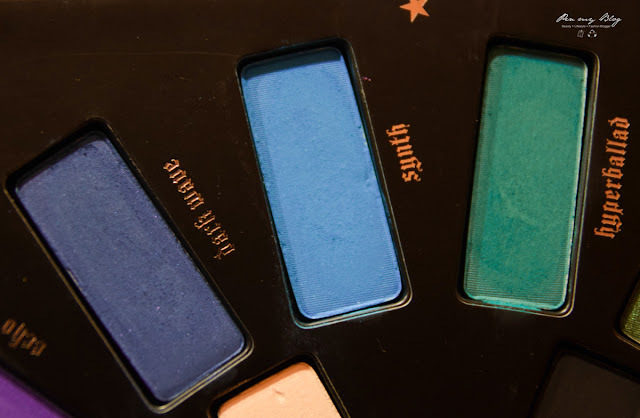 However one thing good about these shades are that they are extremely buildable, so no matter how much you pat on, these will never get chalky or crease on the lids. These lilac and deep purple shades are stunning to say the least and the color pick up on these were effortless. 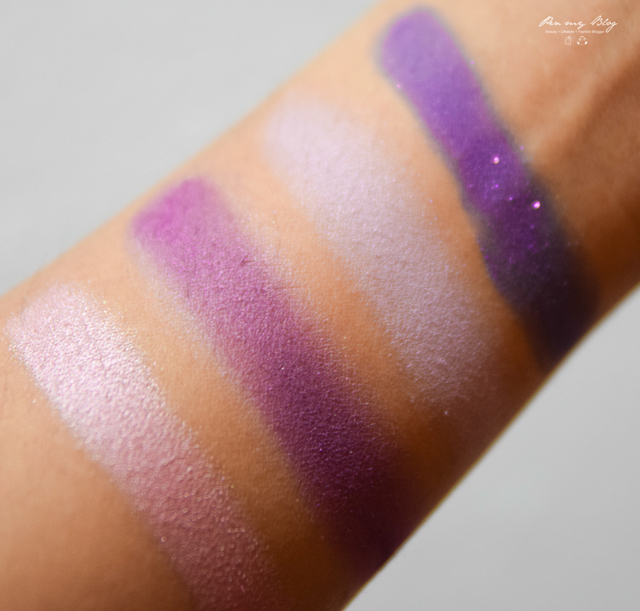 The highlight out of these four was the one in 'Love' which is a stunning stellar pink-purple which you can use for the inner corner of the lids to a light highlight on the cheek with a soft sweep. These blue shades were by far the favorite of the bunch and as you can see, they stand out beautifully both on and off the palette. There was a little bit of fallout on the shade 'Hyper-ballad' as the texture was consistently creamy but if you were to use a primer on the lid and put this on, the color will stay on. 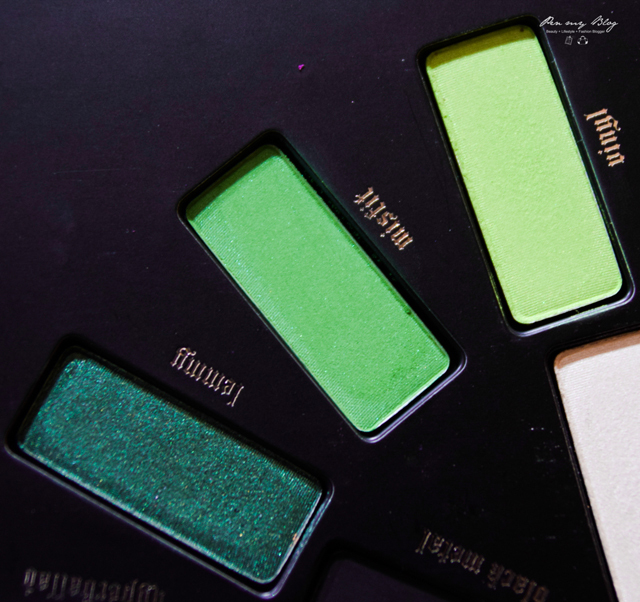 That metallic green right there is a sure win but if you would need promising complimentary shades, simply add in the other two matte colors and you would have a power combo right there. 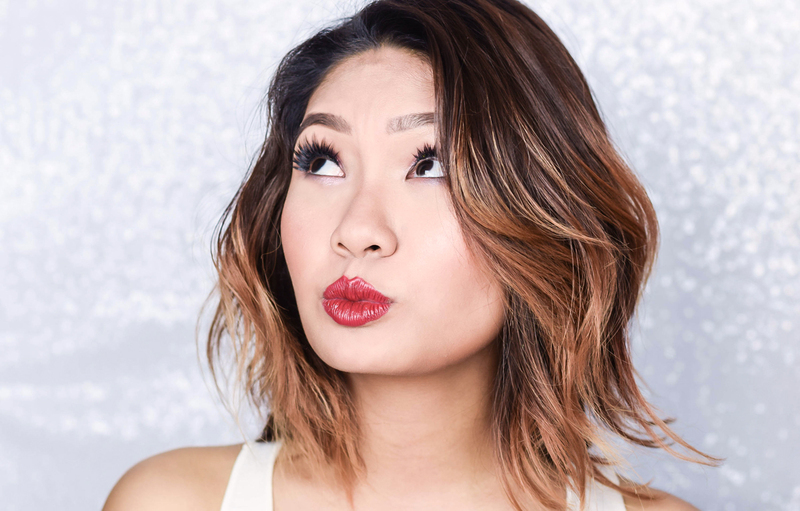 Each tone is rather subtle and very wearable when blended together thus there was no qualms with them and the application was a breeze. 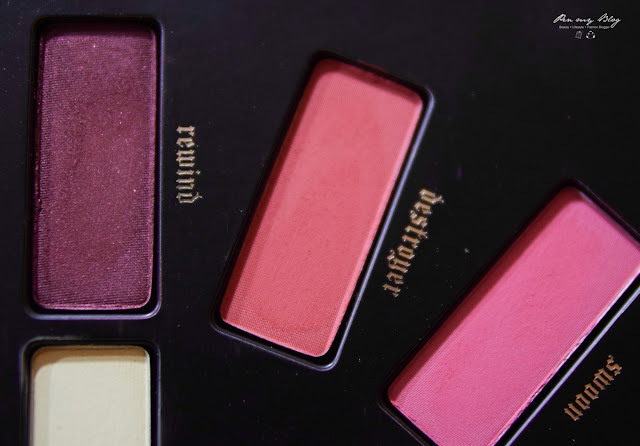 Overall, this has to be one of the best palettes that was swatched over this Christmas for each of its pigmentation and formulation was very well thought out. The artwork that was done for the packaging compliments the palette very well and as mentioned, if you guys would like to take a closer look, you can do so via the video above. 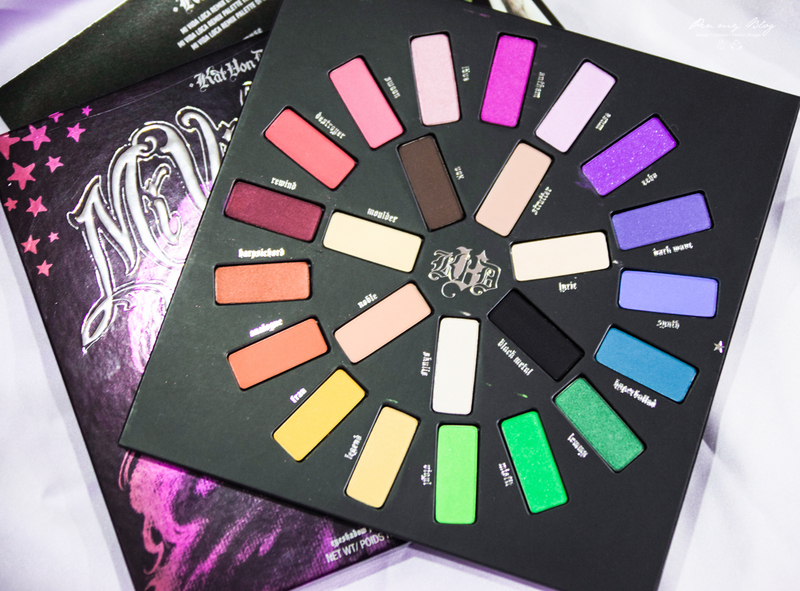 Retailing at $59, this is a very solid palette and is right up the alley for those who enjoys playing with colors and loves expressing through experimentation. In the meantime, if you guys would like to keep up with Kat Von D's beauty line, you can do so via her Instagram account @katvondbeauty . 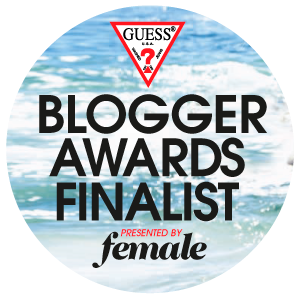 Teasers and new releases are usually posted there, so you can definitely check it out. 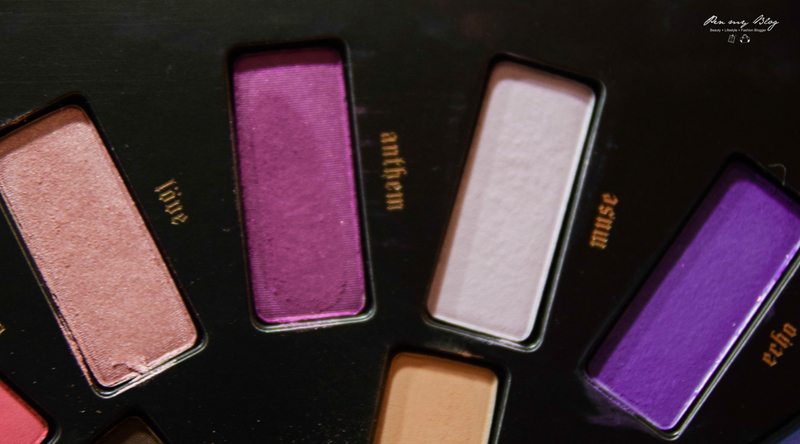 I have to get my hands on one of those pallettes. The color saturation is amazing! The colors on that palette is to die for! 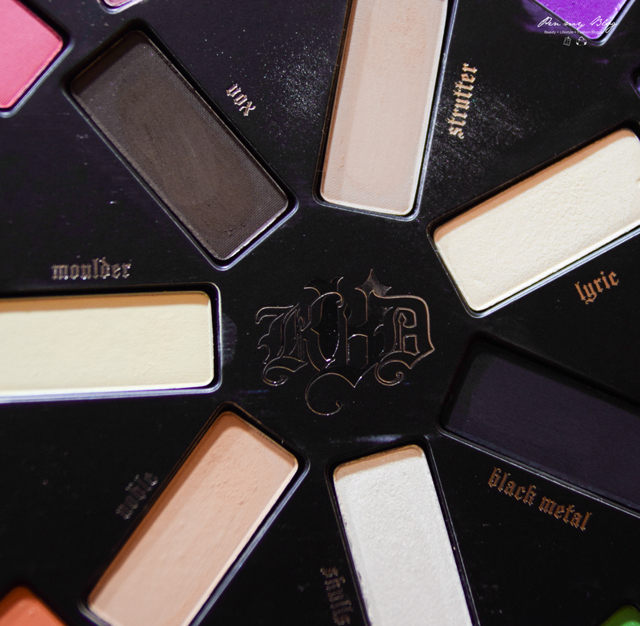 So pigmented. Loving your look in the video too! The purple shade looks very pretty :) i think the color payoff is great. Beautiful! Wow... So many colours. I love the pink one. Looks sweet. 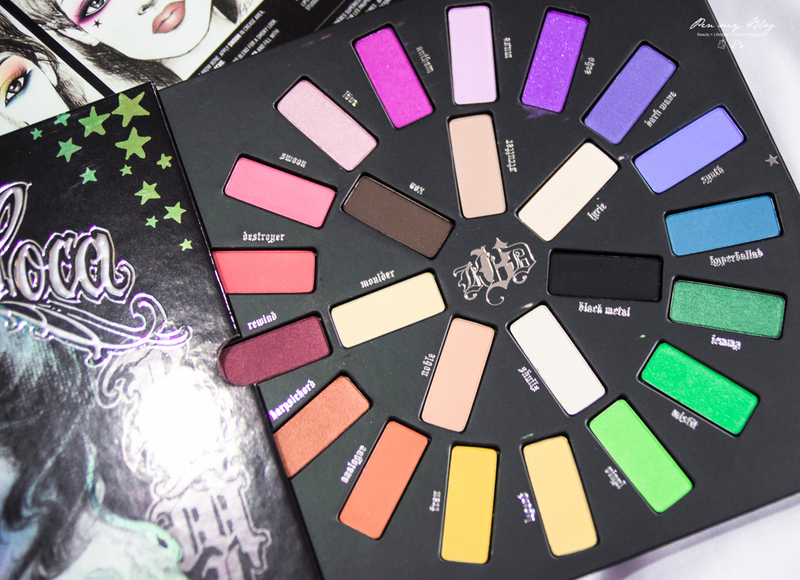 I like the color selection of this Kat Von d Mi Vida Loca eyeshadow palette. The lenny and synth is so pretty. you look awesome with those colours! thats really colourful.. so many different colours on the spectrum. wow.